Bitcoin, the original cryptocurrency, has had a tough year, and is presently resting on its $6,200 support level as it celebrates its 10th birthday. Despite having a fundamentally successful year filled with countless examples of increasing adoption, the markets are still weak, and have been unable to break through their September highs. At the time of writing, Bitcoin (BTC) is trading at $6,315 on the aggregated markets according to CoinMarketCap, which is near the bottom of its long-established trading range between $6,200 and $6,800. Despite looking weak, bulls can take solace in the fact that Bitcoin’s price has bounced several times over the past couple of days in the $6,200 region, which shows that bulls may not be willing to risk losing this support level. The big question that remains is whether or not the latest drop will result in what traders jovially refer to as a “Bart” pattern, which is where Bitcoin drops or rises, trades sideways, and then sharply proceeds back to its previous levels. This type of pattern was most recently seen in mid-October, when Bitcoin fell from $6,600 to $6,300, ranged for a few days, and then rebounded to highs of nearly $7,000. 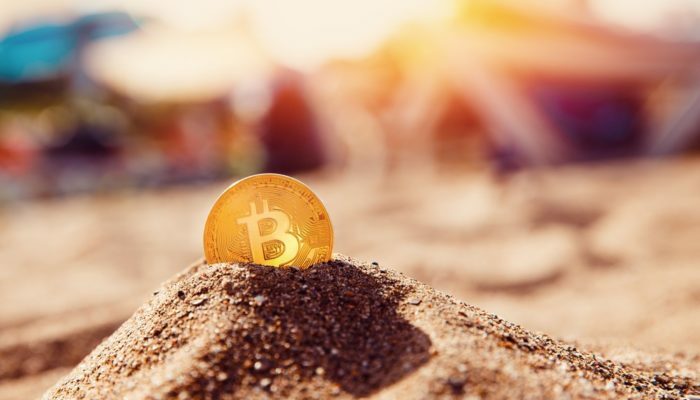 Despite the low market sentiment and persisting bear market, Bitcoin is currently celebrating its 10th birthday, and multiple analysts and industry experts believe that the best is yet to come. Investors discouraged by the current market conditions would be wise to remember that in a short 10 years, Bitcoin has grown from being a technology recognized by a small community of tech-heads to an internationally recognized asset that could fundamentally change the way the world works.